Two bumbling crooks are caught stealing a couple of diamond rings. 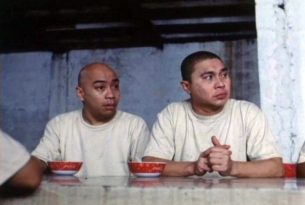 Rather than get sent to jail, they convince the judge to send them to a mental institution instead. But the asylum turns out to be a haunted place, and the two are left to uncover the secret behind the paranormal mysteries that lead to the deaths of the staff. 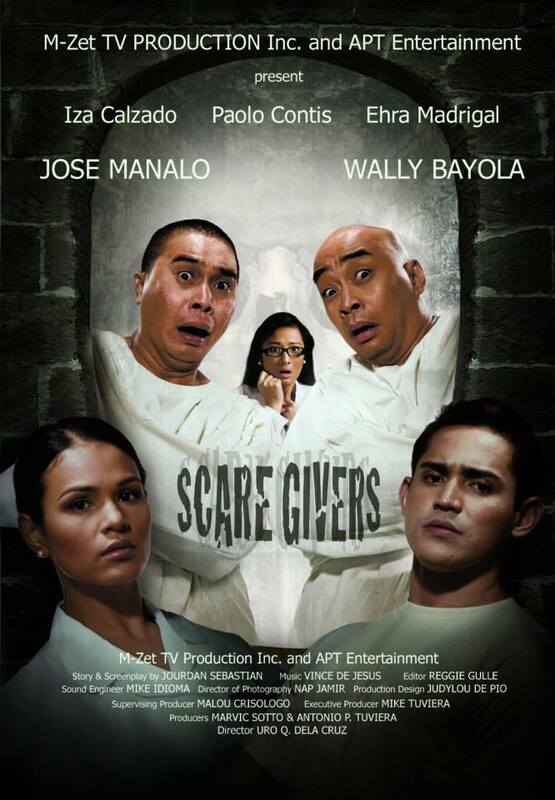 Scaregivers is a 2008 Filipino horror-comedy film written by Jourdan Sebastian and directed by Uro Q. dela Cruz, starring Wally Bayola and Jose Manalo.